Taka Ishii Gallery New York is pleased to present an exhibition of works by Hideko Fukushima. Fukushima participated in the avant-garde art collective “Jikken Kōbō” (Experimental Workshop) which was founded in 1951 in pursuit of new means of artistic expression. As one of the core members of the group, her practice had centered on the production of artworks and stage costumes. In the mid-1950s, in parallel to Jikken Kōbō’s activities that aimed to create a comprehensive and interdisciplinary form of art that traversed various genres, Fukushima came to develop a unique style of painting comprising lines and pressed circles. 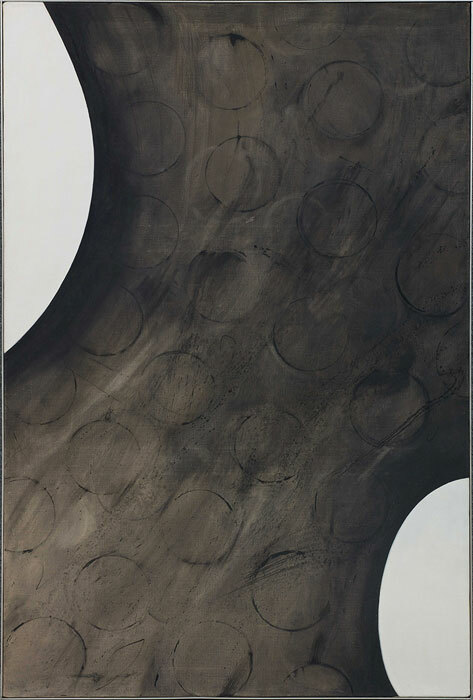 Thereafter by the 1960s, she had developed her representative “Arc” series depicted in blackish brown monochrome hues, and through 1970s engaged in the production of her “Blue” series. This exhibition that marks Fukushima’s first solo presentation at Taka Ishii Gallery New York, features a selection of five works from the 1960s including those from the artist’s representative “Arc” series. Fukushima graduated from Bunka Gakuin in 1943, and in 1948 participated in the “Summer Modern Art Seminar,” where she met Shozo Kitadai and Katsuhiro Yamaguchi. She thereafter came to attend an art research group that was organized by Kitadai who had invited members from the study program to take part in a series of discussions. Here, Fukushima encountered a wide variety of themes from the history of abstract painting to nuclear physics, the theory of relativity, and even Sci-Fi. This research group, which was named “Trident” under the proposal of Yamaguchi, later changed its name to “Shichiyō-kai” and received much acclaim from figures such as Taro Okamoto as a place for young artists to initiatively engage in avant-garde artistic practices. While placing herself in this environment, Fukushima began to produce abstract paintings and further pursue her career as an artist. Jikken Kōbō was founded in 1951 to work on the production of the ballet performance “The Joy of Life,” which had been organized as part of the Picasso Festival in Hibiya Kokaido Hall, Tokyo. The artistic collective was formed of members including artists, musicians, lighting technicians, and poets in an aim to comprehensively bring together various genres of art. Fukushima, who had been responsible for the art segment along with Kitadai and Yamaguchi, also engaged in producing stage costumes as symbolic of the group’s activities that encouraged cross-genre collaboration, creating innovative designs that attracted much attention. 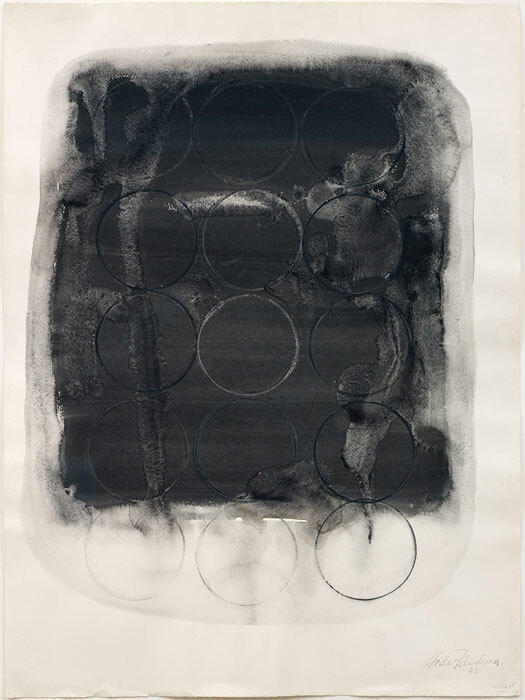 Fukushima had attempted abstract expressions from the early stages of her practice, and in continuing her exploration of painting while drawing influence from surrounding artists such as Kitadai and Nobuya Abe, came to establish her own unique style consisting of pressed circles, rectangular forms, and lines by the mind-1950s. 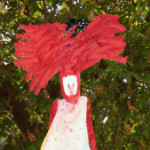 For Fukushima, the circle was an important theme that represented the cycle of life, and as can be observed in the auto-slide work “Form is Created” which she produced with her brother and fellow Jikken Kōbō member Kazuo Fukushima, it was both a symbol of transient ephemerality and a sense of power. Her abstract paintings were at times created without a brush, instead made by wetting the surface of the washi or kent paper with water, then partially applying gouache paint as the base color upon which molds were pressed to create circular forms. Such works by Fukushima reflect a distinct tension that resonates with an air of serenity and lyricism. In 1957, Fukushima’s work had caught the attention of French art critic Michel Tapié during his visit to Japan, after which she began to gain increasing international acclaim as an artist through her participation in numerous overseas exhibitions including the “11th Premio Lissone” in 1959 followed by the 2nd Biennale de Paris in 1961. The circular forms, which through their richly implicit power had permeated her previous works, eventually transformed into monochrome forms without so much as losing their psychological tension and dynamism, the result of which developed into her representative “Arc” series. These works that depict circles and arcs along with a series of linear strokes, exist as highly refined manifestations of the artist’s striking mentality and reflection of her psyche. Hideko Fukushima was born in 1927 in Tokyo (died 1997), and graduated from Bunka Gakuin in 1943. In 1948 she took part in the “Summer Modern Art Seminar,” later coming to establish the artist group “Trident” with Shozo Kitadai and Katsuhiro Yamaguchi who she had met during this time. In 1951 she became a founding member of “Jikken Kōbō” (Experimental Workshop) along with Kitadai and Yamaguchi as well as other young artists of various fields who had gathered under the mentorship of Shuzo Takiguchi. As a member of the group, Fukushima’s practice had centered on the production of artworks and stage costumes. 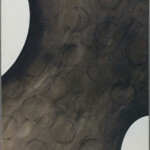 In the mid-1950s she came to establish a unique style of painting comprising pressed circles and lines. 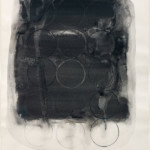 By the 1960s, she had developed her representative “Arc” series depicted in blackish brown monochrome hues, and thereafter in the 1970s transitioned to the production of her “Blue” series. Fukushima is recognized as a leading female artist of postwar Art Informel and abstract painting, known for her works that manifest as profound psychological expressions that present a significant impact on the minds of viewers, with images of powerful lines and subtly delicate circles which permeate with a distinct air of tension. 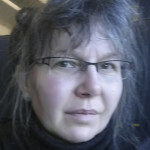 Her major exhibitions include, “MOT Collection Special Feature: Hideko Fukushima / Chronicle 1964- OFF MUSEUM” (The Museum of Contemporary Art, Tokyo, 2012), and “Tokyo 1955-1970: A New Avant-Garde” (The Museum of Modern Art, New York, 2013), “Jikken Kōbō –Experimental Workshop” (The Museum of Modern Art, Kamakura & Hayama, Iwaki City Art Museum, Museum of Modern Art, Toyama, Kitakyushu Municipal Museum of Art, Setagaya Art Museum, 2013). 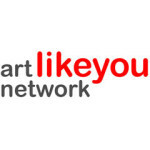 Her works are included in the museum collections of the Tate Modern, The Museum of Contemporary Art, Tokyo, National Museum of Modern Art, Tokyo, Itabashi Art Museum, Chiba City Museum of Art, and the Takamatsu Municipal Museum among others.